BERLIN -- Volkswagen Group confirmed Tuesday it has negotiated a $4.3 billion concrete draft settlement with U.S. regulators to resolve its diesel emissions issues. The automaker plans to plead guilty to criminal misconduct as part of the civil and criminal settlement. VW also said it will face oversight by an independent monitor over the next three years. The deal includes a guilty plea by the automaker regarding certain U.S. criminal law provisions and a statement of facts on the basis of which the fines have to be made, VW said. The guilty plea is in contrast to Justice Department deferred prosecution agreements with Toyota Motor and General Motors, which were both accused of misleading regulators or consumers and paid fines of $1.2 billion and $900 million, respectively, but were not required to plead guilty. With the addition of the fine, the diesel scandal costs are now set to exceed the nearly 18.2 billion euros ($19.2 billion) it has set aside to handle the problem, VW said. The deal raises the cost of settlements in the scandal so far to more than $23 billion in the U.S. and Canada. VW also is involved in investor lawsuits in the U.S. and in Germany related to how the emissions-test rigging affected the stock price, as well as consumer lawsuits and a criminal probe in Germany. VW said the impact of the accord on its 2016 financial results cannot yet be defined, citing "various further factors." VW said in late October it expected the group operating margin to come in at the upper end of a 5 percent to 6 percent target range before one-off items, compared with 6 percent in 2015. The company is due to announce 2016 results on March 14. VW has the resources to absorb the costs, which analysts expect could reach 30 billion euros. The company had net liquidity of 31.1 billion euros ($33 billion) in the automotive division at the end of the third quarter, and extended a 20 billion-euro bridge loan facility through mid-2017 to provide an additional financial cushion and protect its credit rating. The automaker's supervisory board is set to approve the settlement on Wednesday. U.S. courts must still approve the settlement. Analysts welcomed that a settlement looked set to be reached before President-elect Donald Trump takes office on Jan. 20, saying it would mark a milestone in VW's efforts to overcome its biggest-ever corporate scandal. A change in administration could have delayed a final settlement for months if not longer. "Although the settlement is higher than reports had indicated, we view the resolution as a positive catalyst for Volkswagen since it removes the final known major liability" from the diesel scandal, even with other legal issues pending, analysts at Goldman Sachs, including Stefan Burgstaller in London, said in a report to clients. There is apprehension in the market that Trump may become an unpredictable president and turn against non-U.S. companies," said Bankhaus Metzler analyst Juergen Pieper. "The deal is not cheap but it gives clarity to investors and relief to VW." Evercore ISI said in a research note it believes the "settlement is intended to draw a line under all remaining U.S. related legal risk. This is good news." "The most important news is that VW managed to come to an agreement that allows the company to move on from here. It's a major relief that this doesn't get dragged into the new U.S. administration," Evercore ISI said. VW admitted in September 2015 to installing secret software in hundreds of thousands of U.S. diesel cars to cheat exhaust emissions tests and make them appear cleaner than they were on the road. It said as many as 11 million vehicles could have similar software installed worldwide. On Monday, VW executive Oliver Schmidt was charged with conspiracy to defraud the United States over the emissions cheating and VW was charged with concealing the cheating from regulators. It's still not clear where criminal investigations into the responsibility of individual managers will end after Schmidt was charged. U.S. prosecutors plan to charge high-level VW executives based in Germany over the scandal, Bloomberg reported, citing a person familiar with the matter. In Germany, state prosecutors are investigating whether former CEO Martin Winterkorn misled investors by withholding information about the scale of its problems with U.S. regulators. Prosecutors are also investigating the roles of chairman Hans Dieter Poetsch, previously finance chief, and VW brand head Herbert Diess. 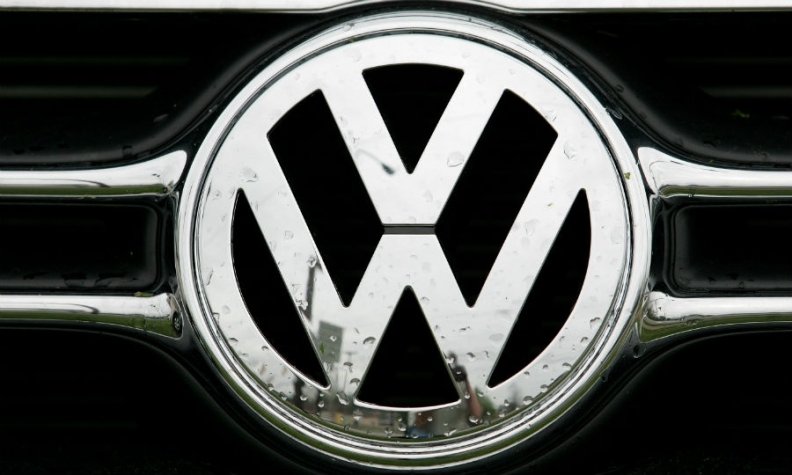 VW has repeatedly said no current or former board members were involved in the cheating. The company has agreed to spend up to $17.5 billion in the U.S. to resolve claims by regulators, owners and dealers and offered to buy back nearly 500,000 polluting vehicles. VW would face major financial difficulties if the European Commission, governments and consumer groups were to succeed in pushing VW to grant redress to owners of affected diesel cars similar to that agreed in the U.S., Pieper said. VW Group said on Tuesday it had record sales in 2016 of 10.3 million vehicles, including a 12 percent jump in December. That figure should put VW ahead of Japanese rival Toyota Motor Co. as the world's largest car producer by volume for the year.